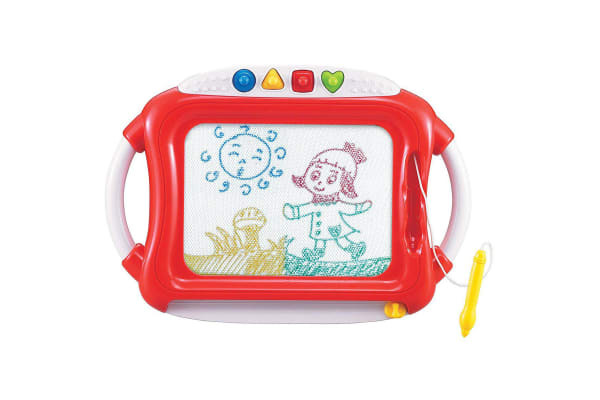 The First Classroom Doodle Magnetic Drawing Board is a magnetic drawing board with a special screen allowing your child to draw clear, crisp pictures in colour unlike older drawing boards which only draw in black and white. 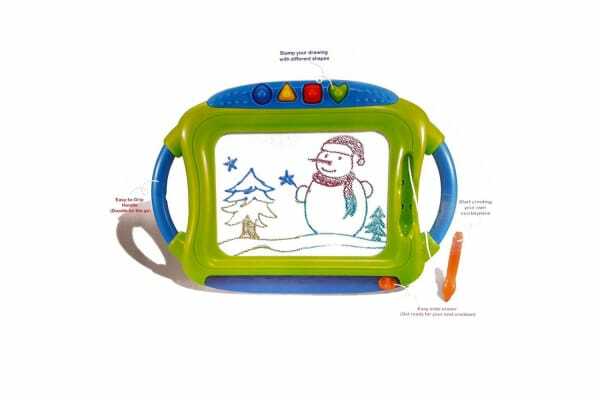 With a high quality drawing surface and rounded corners and an easy to carry handle this is the perfect toy for your budding artist. 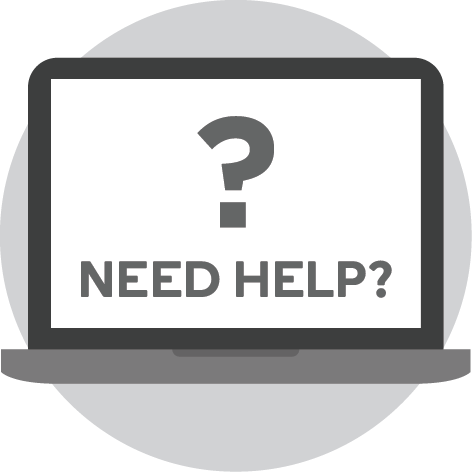 A high quality drawing surface screen has an easy slider which wipes the surface clean so your child can draw again and again. Coloured drawings are so much fun and allow for imaginative art, 4 stampers in a variety of shapes can be used to add interest to your child’s art. The drawing pen is attached to the Board making this drawing board easy to transport. 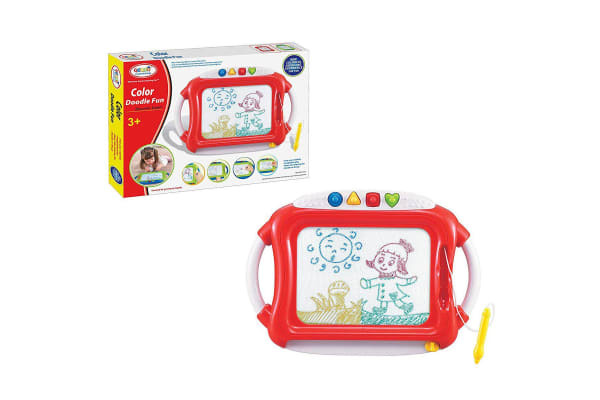 No pencils or paper required just grab the First Classroom Colour Doodle Magnetic Drawing Board and get drawing. This drawing board comes in two colourways, blue and green, as well as red and white. These colours cannot be chosen and are sent randomly. The First Classroom Doodle Magnetic Drawing Board is a classic, high quality toy perfect for kids who enjoy drawing.